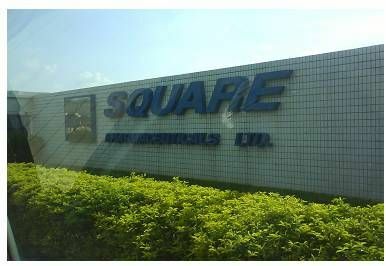 SQUARE Pharmaceuticals Limited is the largest pharmaceutical company in Bangladesh and has been continuously in the 1st position among all national and multinational pharmaceutical companies since 1985. The system must be robust and can withstand the tough conditions in the factory. Needed the system to be compatible with their existing Oracle database on server. Time Attendance and Employee Hours Shifting. Each worker are required to log in/out for the shifting hours and all the data direct to their server for HR use. Multiple Jakin ID Combination Models with Fingerprint, Smart Card & CMOS Camera were deployed in Primary & Secondary setup. Jakin ID terminals are “Network Ready” with TCP/IP LAN connectivity and IP Addressing for web base remote access. IP65 Certified Units for resistance to harsh conditions. Collection of data logs using Jakin ID Agent with connectivity to Oracle Database. Synchronization with Jakin ID Sync middleware application to central server. With the Time Attendance system in place, SQUARE Pharmaceuticals found the Jakin ID terminal easy to use and praised the efficient manner in which Jakin ID installed and supported them. Meeting the specifications that the factory require such as compatibility and robustness to harsh conditions, SQUARE Pharmaceuticals was overall satisfied with the products and level of service they received.